"Pilot" - Will Cooper has been so focused on raising his daughter, Sophie, he's lost sight of who he is as a man and has headed deep into the parental vortex. 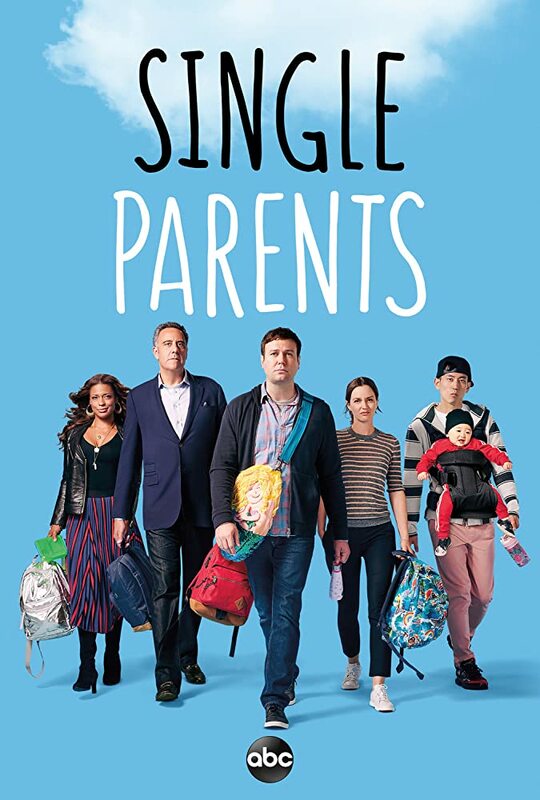 When the other single parents - Angie, Douglas, Poppy and Jake - at his daughter's school see just how far down the rabbit hole of PTA, parenting and princesses Will has gone, they band together to get him out in the world and make him realize that being a great parent doesn't mean sacrificing everything about your own identity, on the series premiere of "Single Parents," airing WEDNESDAY, SEPT. 26 (9:31-10:00 p.m. EDT), on The ABC Television Network, streaming and on demand. The series stars Taran Killam as Will Cooper, Leighton Meester as Angie D'Amato, Kimrie Lewis as Poppy Banks, Jake Choi as Miggy Park, Marlow Barkley as Sophie Cooper, Tyler Wladis as Graham D'Amato, Devin Trey Campbell as Rory Banks, Mia Allan as Emma Fogerty, Ella Allan as Amy Fogerty and Brad Garrett as Douglas Fogerty. The series is from 20th Century Fox Television and ABC Studios. JJ Philbin and Elizabeth Meriwether are creators and executive producers, and Katherine Pope and Erin O'Malley are executive producers. The pilot was directed by Jason Winer, who is also an executive producer. "Pilot" was written by JJ Philbin and Elizabeth Meriwether, and directed by Jason Winer. I like Taran Killam, but I'm five minutes in, and ready to turn this off and never watch another second of it. Edit: Ok, I watched the whole episode. This is supposed to be a comedy, right? Last edited by JackoOnHisBacko; 09-26-18 at 09:01 PM. Yea. After 10 mins I was ready to bail. Can Leighton Meester just land on a decent show already? I couldn’t make it five minutes. This was bad...very bad. I liked the way the ep ended but the first 15 of the 21minutes was not good. Eh, I thought it was ok. But I have kids that age so they (kids and the parents) probably didn't annoy me as much as they did others. Usually first episodes of sitcoms they're still trying to find their footing, though I have no idea how long of a leash this show has. We didn't make it past the first 10 minutes. Terrible show that should have never got off the ground. I liked it so far. Brad Garrett is good as usual. It's interesting (to me) that they've basically made him a Trumpster. Gave up on it after 15 minutes or so. Thought it was going to be good. I just watched the first episode. These parents are putting too much attention on their own children, and on other people's children. The guy giving up a steak dinner with his friends because some other kid's parent needed help was really pushing the credibility line. Real parents don't behave this way. Now Roseanne, that was how real parents behave. I've always felt she was the weakest part of everything she's been in, including Gossip Girl.